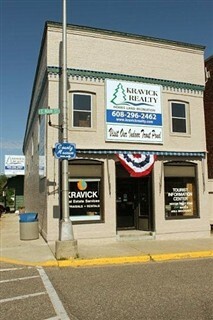 The Kravick Realty building has been known for Marquette County home sales for generations. It began as Quinn's Realty & Sportshop in 1950. The sportshop sold bait, tackle, hunting gear and other sporting goods. In 1980, Bob & Susan Kravick purchased the building and turned the entire site into a real estate office. The indoor trout pond still remains as a local Westfield tourist attraction. Our agents are high caliber professionals with diverse backgrounds. All have a good knowledge of the Adams, Marquette & Waushara County market areas and work hard to provide excellent service to customers and clients. We also have a wonderful staff to accommodate you. They help coordinate meetings, set schedules and answer your calls when your agent is not available. Team Kravick works to make your transaction as smooth as possible. Our primary service area is the beautiful Westfield, Montello, Oxford, Coloma and Neshkoro areas. We invite you to Make It Your Lifestyle! If you're looking to relocate out of the area, we belong to the MLS and can help you find the perfect home, vacation spot, hunting land or business anywhere in the US.